“We cannot expect more from Europe without giving more to Europe”, he said, backing Parliament’s position on the multi-annual financial framework (MFF). “Portugal is ready to increase its contribution” to the budget, he told MEPs. Mr Costa reiterated his support for cohesion and agriculture policies, saying that through them “Europe has reached every village, every part of the territory, from the great metropolis to the outermost regions”, bringing the EU into the daily lives of its citizens. “In Portugal, we have found an alternative to the austerity policy, based on more economic growth, more and better jobs and greater equality”, he said, stressing that citizens’ trust needs to be restored. For that to happen, the EU needs to build a “more cohesive Union”, at economic, social and political levels. Mr Costa highlighted the need to complete the Economic and Monetary Union and to equip the EU with resources to live up to its responsibilities and the challenges ahead. “More than a single currency, more than an internal market, Europe is a community of values”, he said, adding that “It is in the EU, and with all those who want it, that we wish to build our future”. Welcoming Mr Costa, Parliament’s President Antonio Tajani said: “Portugal has always played a key role in European integration and its people have always been committed to our Union. The latest country economic data are a good example of how European solidarity and commitment to reforms can pay off”. “As a bridge between Europe and Africa, as well as Latin America, we are counting on Portugal to be a leader in promoting stronger links with our friends around the world”, he added. Some of Parliament’s group leaders praised the Portuguese Prime Minister and his government’s progressive efforts to steer the country away from the worst damage caused by the 2008 financial crises, indicating that budget responsibility does not mean you have to give up on social justice. Others underlined that a modern social policy also requires a modern tax policy, and called for more EU-wide tax legislation as well as a reformed eurozone, equipped with fiscal capacity and a proper governance structure. 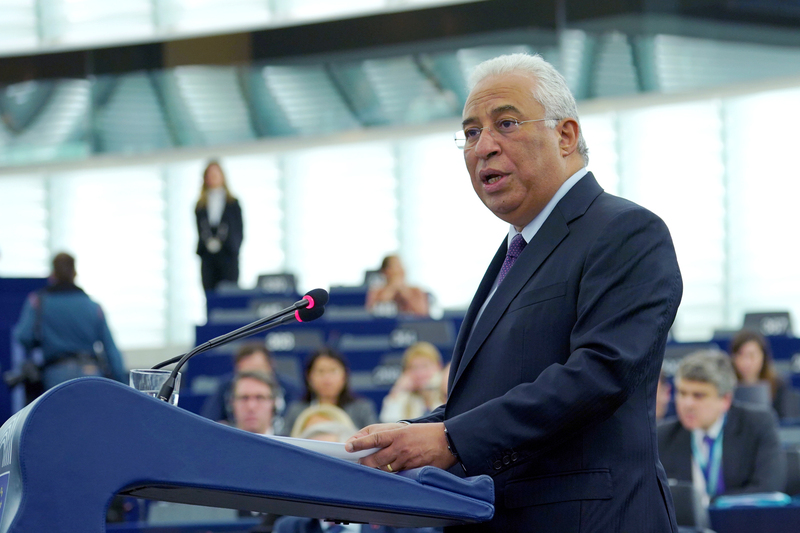 The Portuguese Prime Minister was the third EU leader to address the plenary on the future of Europe, after Irish Taoiseach Leo Varadkar on 17 January and Croatian Prime Minister Andrej Plenković on 6 February. The next future of Europe debate, with French President Emmanuel Macron, is scheduled for the April plenary session, followed by debates with Charles Michel (Belgium) and Xavier Bettel (Luxembourg) in May.